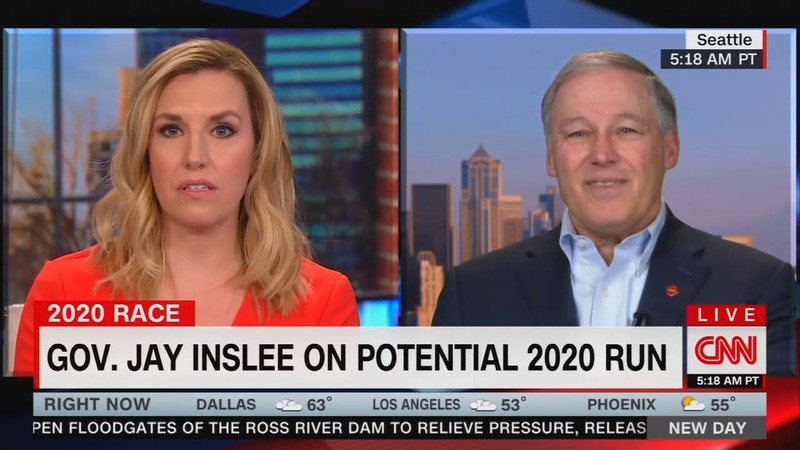 On Monday’s New Day show, as Washington Democratic Governor and possible 2020 presidential candidate Jay Inslee appeared as a guest, fill-in co-host Poppy Harlow fretted over the public’s lack of interest in the issue of climate change as she mostly gave him a friendly forum to promote his views without pressing back on him from the right. On a very serious note — and that is climate change — I mean, you can’t dispute the facts on what is happening to the climate and the peril and the danger to this country. But what is remarkable to me — and I think what you’re up against when you run on a climate change, you know, being your headline push here — is how the American people really feel about it or don’t care as much about it. ← What is acute stress disorder?